As Roxette.se has previously informed (RoxetteBlog.com article) there will be a new programme in Swedish TV in which one of its part will be dedicated to Roxette’s “The look” hit single. After the success of “Dom kallar oss artister” (They call us artists) show (Per Gessle was one of the stars), the Swedish public television decided to produce another interesting music document series – “Hitlåtens historia” (The hit song’s history) based on the stories behind the most important Swedish songs. 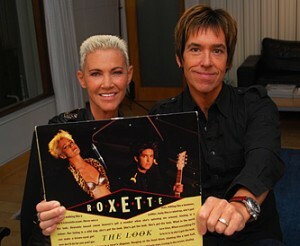 Roxette’s “The look” will be presented as the first song on January 20th, 2010 on SVT 1. Don’t miss it!